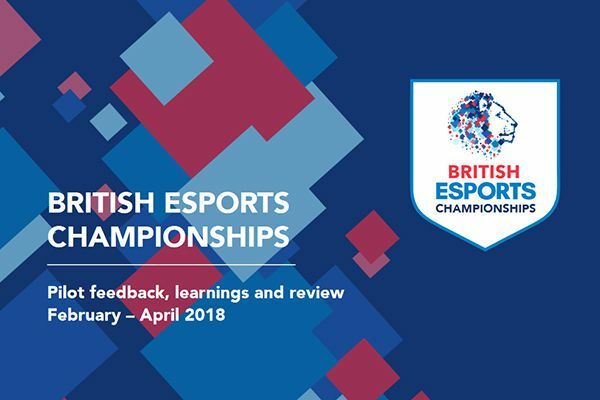 The British Esports Championships pilot for schools and colleges was a competitive gaming tournament specifically for students aged 12-19, running from February 22nd to April 18th 2018. It acted as a precursor to our full British Esports Championships starting this October. But what did teachers and students think of the pilot? What did it do well and what could be done better next time? Find out and read a snapshot of the feedback and findings in our downloadable PDF here. It ran across three different types of educational institution: four secondary schools, eight further education colleges and four alternative provision schools (pupil referral units, or PRUs). It was the first grassroots esports tournament of its kind for colleges in the UK. The pilot included three games: League of Legends, Overwatch and Project CARS 2. Teams played against each other in competitive leagues, with weekly scheduled fixtures similar to traditional sports. There were two stages: a group stage with a league table followed by knockout-style playoffs. The championships were eventually won by Solihull School and Sunderland College. Online safety was paramount. The pilot was a closed community with only those institutions registered for the pilot able to use the platform. Secure, unique log-ins were provided to each school or college. Each team also had the option to order their own branded esports jerseys in conjunction with the British Esports Association. As well as taking part in weekly matches, educational establishments were also encouraged to develop wider, non-playing roles, such as team manager and shoutcaster, modelling the structures of professional esports teams. The British Esports Association worked with the teachers, school leaders and academics in esports to monitor the pilot, record results and demonstrate best practice. We have also published a deck on the full Championships starting this October. Download it here.